The Software Development for Kids project was first developed at Red Llama under the name Inspiring Youth through Technological Creativity. Since its inception, the program has received funding from the Bill and Melinda Gates Foundation, Washington STEM, Broadband Technologies Opportunity Program, Microsoft, the City of Seattle Technology Matching Fund, and the Medina Foundation. One of the most exciting parts of the Software Development for Kids project is a new focus on technology classes that incorporat cultural education. The idea is that kids from underrepresented groups may not feel that they belong in the technology industry. By learning about their culture and then incorporating that culture into a cutting-edge technology project, we hope to create an association between their culture and technology. The cultural education is provided by the community, and we provide the technology education. Lushootseed language, ethno-botany, and speech recognition. 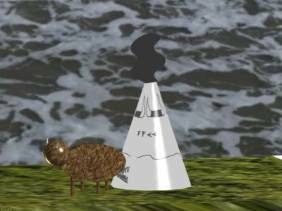 Storytelling, ethno-botany, and computer game programming. 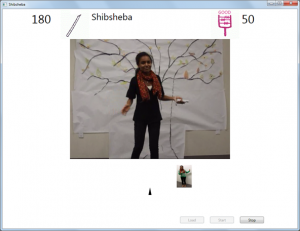 Using traditional dance and structured data to create a Wii dance game. Using traditional music and art and structured data to create a Dance arcade game. Traditional lodges, 3D modeling, and augmented reality. Ethiopian languages and speech recognition. Ethopian architecture, 3D modeling, and augmented reality. 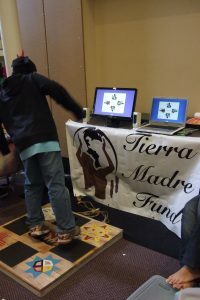 Dance Dance Revolution® machine created by Native American students, demonstrated at the University of Washington Powwow. Wii Dance Class: Ethiopian music, dance and images. Watch videos of youth projects.